LOVE THIS!!! Especially the part about your "Tupperware" Cabinet! Enjoyed your tips. I need to get more organized. I like living near a grocery store, but then again, I feel like I never plan ahead and am always running to get something. Shrimp dip looks great. Yes, there are pros and cons of living close or far from a grocery store. There are times I just have to look at my pantry and throw something together because my grocery trip got delayed for some reason. I luckily do have a small grocery store open limited hours just five minutes away so I can grab a gallon of milk before 6pm if I know I'm close to running out! Have to agree about the Shrimp dip, but I'd have to eat it all myself. And the kitchen helper is always good, the sooner they start, the more the keep helping. I taught the kid to run the washer because he wouldn't put his clothes in the hamper and I worked, so now, he still doesn't use the hamper, but he washes his own clothes still! 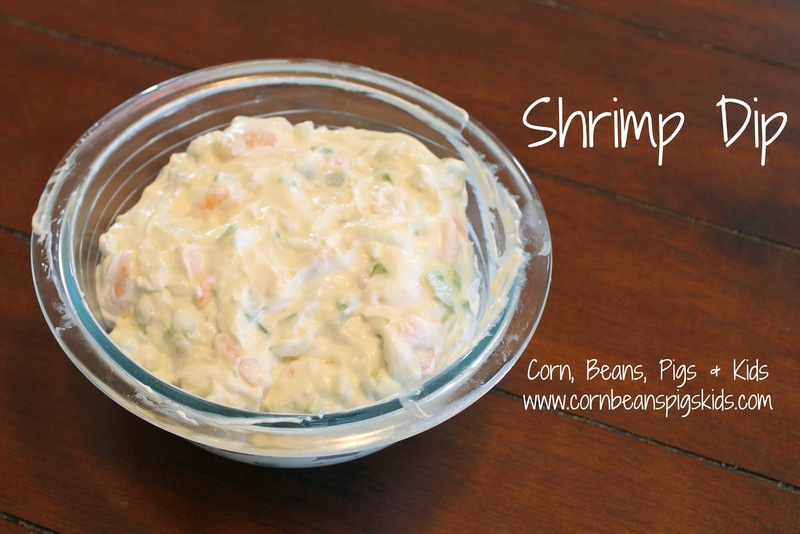 The shrimp dip is very easy to consume in one sitting. We've got to teach our kids how to do things that way they can do it when they're on their own. I can't believe the number of people I met in college that never did a load of laundry till they got to college (and some still brought it home...)! I was excited to see you in FarmNews last week! So fun to be at the office and say " I know her!" ...also, love tip #6 on cutting and washing as soon as you're home. Great idea! Thanks Alicia! Once I made a conscious effort to do #6 I truly believe we eat more fruits and vegetables in our house and waste less. 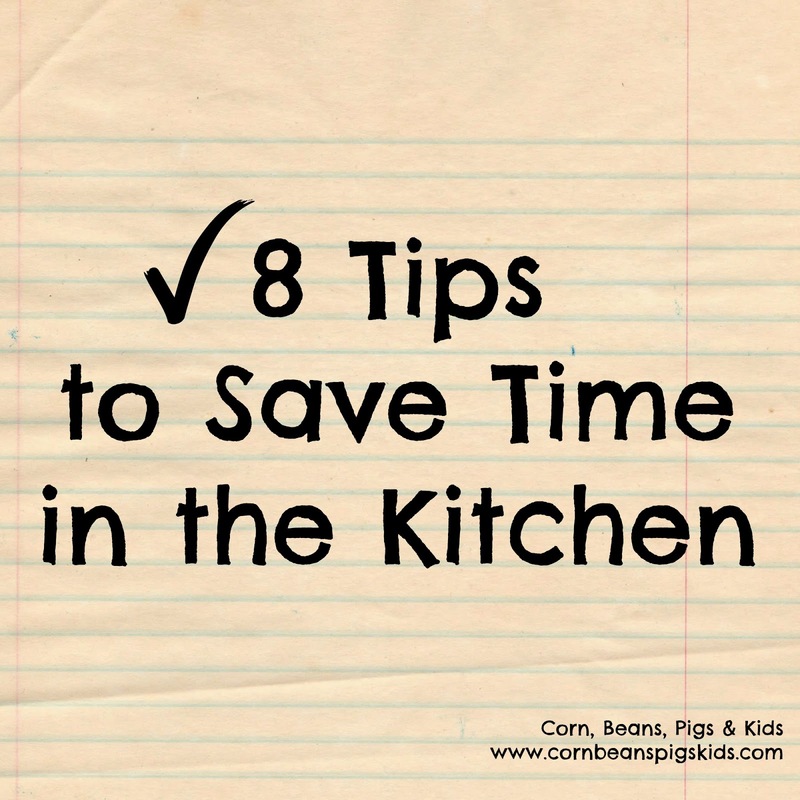 I was surprised to see that we do most of the same things to save time in the kitchen! One thing I started doing for meal planning this fall was using the local school lunch menu to help plan my weekly menu. It helps me prepare different foods I might not have thought to serve my kiddos plus it saves me time thinking up those 5 meals. For my grocery list, I use the app Cozi. It has a shopping list built in and I set up lists by aisle/dept. When I get the item I can check it off by touching the screen so I don't need to keep track of my pen/paper while trying to keep track of my little shoppers. That's a great idea Joslyn - to look at the school lunch menu or lunch ideas at home. I'm getting a new phone this week hopefully so I'll have to download Cozi. I've looked into it but just haven't downloaded it yet so might as well wait a couple days now... Thanks for passing along your ideas! This is easy enough I think I'll try it for Christmas Eve. Which tastes better for the shrimp dip recipe - mayo (like the recipe) or salad dressing (like the picture)? I've made it with both and I prefer salad dressing.